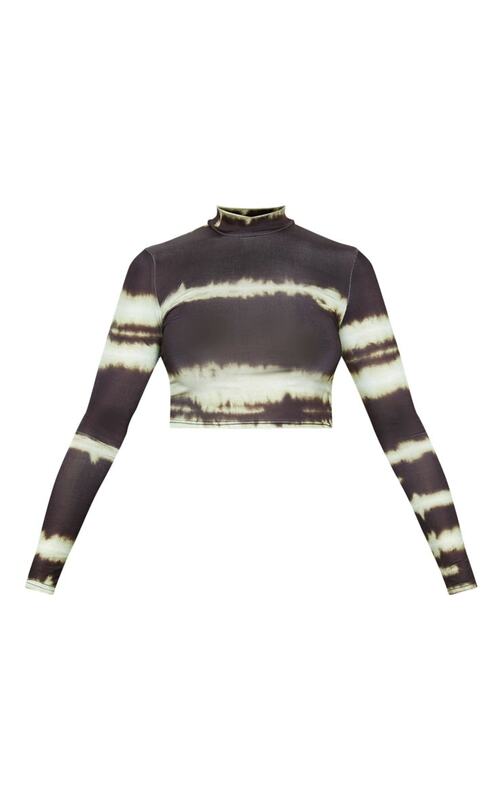 Tie-dye is back and this top is killing the trend. Featuring a black tie-dye printed material with long sleeves and a high neckline, we are obsessed. Style it with any outfit of the day to earn some extra style points.